The PEFC-certified substrate bio-textile from Sandler is made only from viscose fibres sourced from European forests. At this year’s IDEA 19 Show in Miami, Sandler AG will showcase its hygiene products, wipes, technical applications and its sustainable nonwovens. The focus of Sandler’s trade fair participation is offering more sustainable products, whether for single or multiple use. A nonwoven composite designed for use in diapers and Sandler’s wipes' substrates are two products which will feature at the show. Made from a certified viscose fibre, Sandler’s new substrates are biodegradable and available as FSC-certified variants. The company says they are highly absorbent, tear-resistant and better for the environment. The PEFC-certified substrate bio-textile from Sandler is made only from viscose fibres sourced from European forests, so from sustainable raw materials with a reduced carbon footprint. Newly developed nonwovens made from viscose and cellulose acetate fibres are gentle on the skin, biodegradable and compostable. 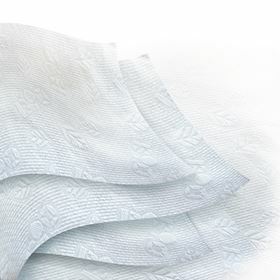 Wipes' substrates made from the lactic-acid based raw material PLA and product variants with a share of cotton are also part of Sandler’s range of nonwoven substrates made with raw materials from renewable sources. The team from Sandler team will be at booth stand 902.